Oh yes, I have got compliments of that sort when I have used it under my base :). Gives your skin a youthful, radiant finish with this lightweight, buildable sheer tinted moisturizer. A perfect blend of skincare and makeup. It hydrates skin with barely- there colour for a luminous radiant glow. This lightweight formula provides ideal protection from the sun’s harmful and damaging rays with broad spectrum SPF 20 sunscreen. · Skin-friendly formula contains a unique Dewy Complex that is proven to keep the skin moisturized and better equipped to combat external aggressors and irritants. · Long-wearing formula stays on colour true and even; layer with other foundations for a custom blend and radiant finish. · Mix 50% Illuminating Tinted Moisturizer into your foundation for SPF protection; For an instant boost – press Illuminating Tinted Moisturizer onto the high points of the cheekbones over any foundation. Apply it onto clean skin with the help of your fingertips in a gentle downward motion. To maintain dewy radiance, set it with Translucent Loose Setting Powder using puffing brush. For a matte finish, set with Foundation Powder or Translucent Loose Setting Powder using the Powder Brush. It comes in a whitish tube and the packaging is very user friendly. This is a great illuminating moisturizer, which gives a luminous finish and is perfect for normal to dry skin. Versatile shades makes it ideal for all skin tones. Best thing is it has SPF too, which it makes a perfect moisturizer for day time. So, you can use it on its own or mix it with your foundation for getting sun protection. Though I have used it on my super oily skin too and have faced no breakouts but that was in winters. In summers, I do not dare such dewy products :P. But for normal to dry skin, I would say that this tinted moisturizer is superb and if your skin have no major issues, then this is sufficient on its own. 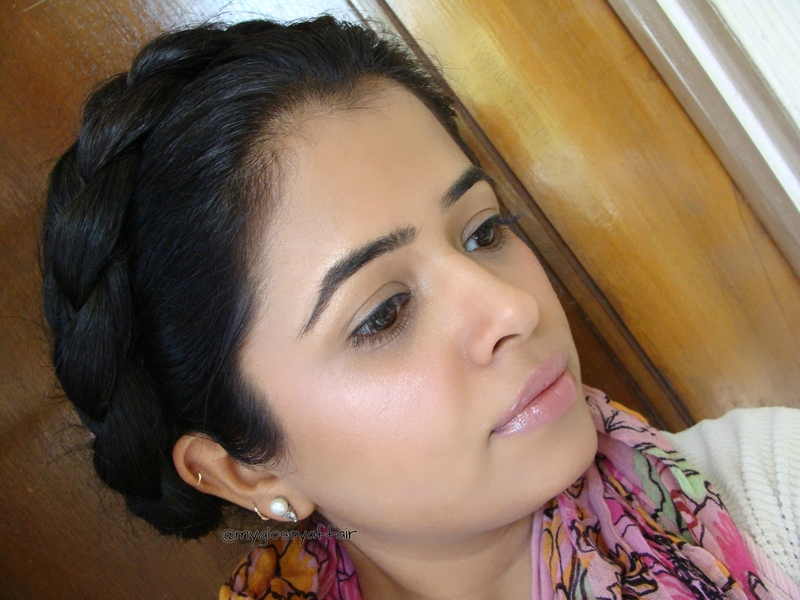 You will get that lovely fresh dewy look with no heaviness or clogging of pores. My tip: After applying the product, give it some time to settle in and then go with your normal makeup routine if you want. Or simply mix it with your regular foundation and you are ready to go. 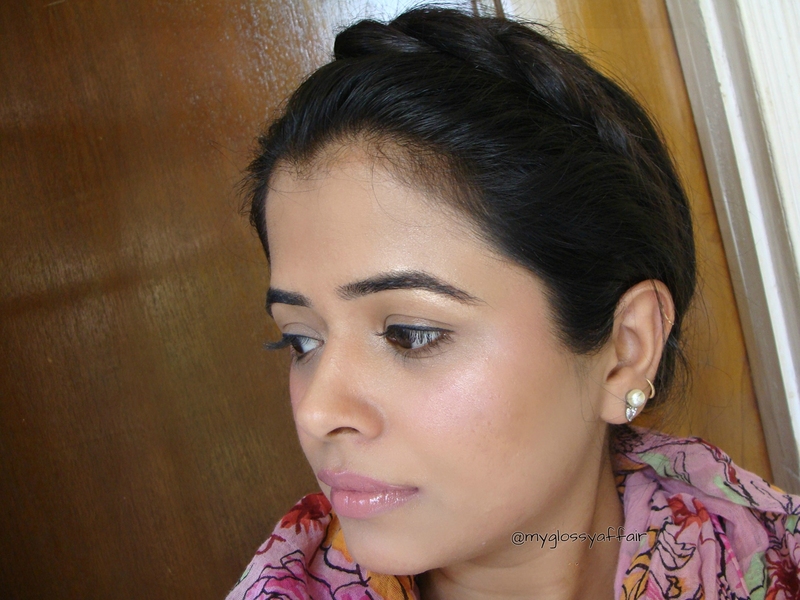 If you are fond of natural dewy finish then this tinted moisturizer is a must have for you. I have this as part of my beauty products. Nice and love it though I still apply sunblock because SPF20 is not enough for the blistering heat over here. I need to illumine my face.. Loved the final look..sounds great.. This looks amazing but the price is so damn high.